Solar and wind energy both flow directly to the generating system. Only one step in that uranium-nuclear chain is low emission – though all nuclear lobbyists claim that this step is “no emission” – the reactor’s operation. BUT – Carbon-14 is produced in coolant at boiling water reactors (BWRs) and pressurized water reactors (PWRs). It is typically released to the atmosphere in the form of carbon dioxide at BWRs, and methane at PWRs. a protector of American values. States intends to remain a steadfast partner of Saudi Arabia to ensure the interests of our country,” Trump said. in Saudi Arabia, not the United States. leverage over Saudi behavior,” William Hartung, the director of the center’s Arms and Security Project, wrote. provoked scorn, dismay, and outrage from human-rights groups, politicians, and foreign-policy experts. Saudi Arabia’s crown prince Mohammed bin Salman – wanting a nuclear bomb? Saudis Want a U.S. Nuclear Deal. Can They Be Trusted Not to Build a Bomb? NYT, By David E. Sanger and William J. Broad, Nov. 22, 2018, WASHINGTON — Before Saudi Arabia’s crown prince, Mohammed bin Salman, was implicated by the C.I.A. in the killing of Jamal Khashoggi, American intelligence agencies were trying to solve a separate mystery: Was the prince laying the groundwork for building an atomic bomb?The 33-year-old heir to the Saudi throne had been overseeing a negotiation with the Energy Department and the State Department to get the United States to sell designs for nuclear power plants to the kingdom. The deal was worth upward of $80 billion, depending on how many plants Saudi Arabia decided to build. before it reached the 2015 nuclear accord, which President Trump has since abandoned. Prince Mohammed set off alarms when he declared earlier this year, in the midst of the negotiation, that if Iran, Saudi Arabia’s fiercest rival, “developed a nuclear bomb, we will follow suit as soon as possible.” His negotiators stirred more worries by telling the Trump administration that Saudi Arabia would refuse to sign an agreement that would allow United Nations inspectors to look anywhere in the country for signs that the Saudis might be working on a bomb, American officials said. Asked in Congress last March about his secret negotiations with the Saudis, Energy Secretary Rick Perry dodged a question about whether the Trump administration would insist that the kingdom be banned from producing nuclear fuel. Eight months later, the administration will not say where the negotiations stand. Now lurking behind the transaction is the question of whether a Saudi government that assassinated Mr. Khashoggi and repeatedly changed its story about the murder can be trusted with nuclear fuel and technology. Such fuel can be used for benign or military purposes: If uranium is enriched to 4 percent purity, it can fuel a power plant; at 90 percent it can be used for a bomb. Privately, administration officials argue that if the United States does not sell the nuclear equipment to Saudi Arabia someone else will — maybe Russia, China or South Korea. They stress that assuring that the Saudis use a reactor designed by Westinghouse, the only American competitor for the deal, fits with Mr. Trump’s insistence that jobs, oil and the strategic relationship between Riyadh and Washington are all far more important than the death of a Saudi dissident who was living, and writing newspaper columns, in the United States. Under the rules that govern nuclear accords of this kind, Congress would have the opportunity to reject any agreement with Saudi Arabia, though the House and Senate would each need a veto-proof majority to stop Mr. Trump’s plans. “It is one thing to sell them planes, but another to sell them nukes, or the capacity to build them,’’ said Representative Brad Sherman, Democrat of California and a member of the House Foreign Affairs Committee. Following Mr. Khashoggi’s death, Mr. Sherman has led the charge to change the law and make it harder for the Trump administration to reach a nuclear agreement with Saudi Arabia. He described it as one of the most effective ways to punish Prince Mohammed. “A country that can’t be trusted with a bone saw shouldn’t be trusted with nuclear weapons,” Mr. Sherman said, referring to Mr. Khashoggi’s brutal killingin the Saudi Consulate in Istanbul last month. Nuclear experts said Prince Mohammed should have been disqualified from receiving nuclear help as soon as he raised the prospect of acquiring atomic weapons to counter Iran. “We have never before contemplated, let alone concluded, a nuclear cooperation agreement with a country that was threatening to leave the nonproliferation treaty, even provisionally,” said William Tobey, a senior official in the Energy Department during the Bush administration who has testified about the risks of the agreement with Saudi Arabia. He was referring to the crown prince’s threat to match any Iranian nuclear weapon — a step that would require the Saudis to either publicly abandon their commitments under the nonproliferation treaty or secretly race for the bomb. The Trump administration declined to provide an update on the negotiations, which were intense enough that Mr. Perry went to Riyadh in late 2017. Within the last several months, a senior State Department official engaged in further discussions over the deal in Europe. ……..The core challenge for the Trump administration is that it has declared that Iran can never be trusted with any weapons-making technology. Now, it must decide whether to draw the same line for the Saudis. The United States’ own actions may be helping to drive the Saudis’ nuclear thinking. Now that the Iran agreement, brokered with world powers, is on the edge of collapse after Mr. Trump withdrew the United States, analysts are worried that the Saudis may be positioning themselves to create their own nuclear program in response. The kingdom has extensive uranium deposits and five nuclear research centers. Analysts said Saudi Arabia’s atomic work force was steadily growing in size and sophistication — even without producing nuclear fuel. Saudi leaders saw a political opening when Mr. Trump was elected. In its early days, the administration spent considerable time discussing ways that Saudi Arabia and other Arab states could acquire nuclear reactors. Michael T. Flynn, who briefly served as Mr. Trump’s national security adviser, backed a plan that would have let Moscow and Washington cooperate on a deal to supply Riyadh with reactors — but not the ability to make its own atomic fuel. As a precondition, American economic sanctions against Russia would have been dropped to allow Moscow to join the effort. Mr. Flynn was fired in early 2017 as questions swirled around his conversations with Russia’s ambassador to the United States, including about ending the trade restrictions. At his Senate confirmation hearing in November 2017, Christopher A. Ford, the assistant secretary of state for international security and nonproliferation, called the safeguards a “desired outcome.” But he equivocated on whether the United States would insist on them. Russia rewrites nuclear rule book to fire first, The Times, 23 Nov 18 President Putin would have the power to launch nuclear first strikes under plans approved by the Russian parliament. Senators in the Federation Council, the upper house, have recommended tearing up the military doctrine that forbids initial use of weapons of mass destruction. It comes after Mr Putin said that Moscow would retaliate if the United States withdrew from a landmark Cold War missile treaty. There are strong parallels between THORP and the proposed £20bn Hinkley Point C nuclear power plant. Powerful arguments were put forward against the construction of both plants, but the Government and the Nuclear Industry continued to stubbornly pursue these massively expensive and dangerous projects. NuClear News, December 2018, The House of Commons Public Accounts Committee (PAC) says while the Nuclear Decommissioning Authority (NDA) and Sellafield Limited have made progress with reducing delays and expected cost overruns on 14 major projects at Sellafield, with a combined lifetime cost estimate of £6 billion, there is still a long way to go. Most major projects at Sellafield are still significantly delayed, with expected combined cost overruns of £913 million. The NDA has not systematically reviewed why these projects keep running into difficulties, or analysed properly the constraints it says prevent them from making faster progress. Until this work is completed, the Committee will remain sceptical about the long-term strategy to decommission Sellafield. And despite this Committee’s recommendation nearly five years ago, the Department for Business, Energy & Industrial Strategy has still not decided what to do with the plutonium stockpile currently stored at Sellafield. Given the scale and unique challenges at Sellafield, the NDA must have a firm grip of the work that takes place on the site. This was not the case with the NDA’s recently failed contract to decommission its Magnox sites. by a spokesman for the report’s authors the Government’s Public Accounts Committee (PAC). major projects needed to clean up Sellafield. by the NDA and could be published soon.  Major projects are expected to cost over £900 million more than originally budgeted and be subjected to delays of over 13 years.  The NDA has cancelled three projects since 2012 after spending £586 million of taxpayers’ money on them.
.  The NDA’s programme to deal with the plutonium stockpile in the near term is late and its costs are increasing.
.  The series of contingency arrangements to manage these decaying canisters are shortterm fixes for a long-term problem and BEIS has yet to set out clearly what its strategy is and the associated costs to the taxpayer. Meanwhile the controversial Thermal Oxide Reprocessing Plant (THORP) at Sellafield has started work on processing its final batch of waste fuel after operating for only 24 years. (3) THORP opened in 1994 to reprocess spent fuel from the UK’s newer reactors – like Hinkley Point B – and overseas customers. Reprocessing is a chemical process which separates out plutonium and unused uranium from spent nuclear fuel. There are strong parallels between THORP and the proposed £20bn Hinkley Point C nuclear power plant. Powerful arguments were put forward against the construction of both plants, but the Government and the Nuclear Industry continued to stubbornly pursue these massively expensive and dangerous projects. This Stop Hinkley Campaign briefing asks whether there are any lessons we can learn from the THORP experience to help us to evaluate the merits of continuing to build Hinkley Point C.
By 1992 the original rationale for THORP had all but disappeared before it even opened so the Government decided to commission the consulting firm Touche Ross to examine the financial implications of THORP’s operation or abandonment. It concluded that the economic benefit of operating THORP versus not operating it were £1.81bn for BNFL and £950m for the UK (7). In 1994, after a long and agonised debate, the Government decided to allow the plant to operate and the first waste spent fuel was ‘sheared’ – the outer cladding taken off – as the first step in the reprocessing process, in March of that year (8). 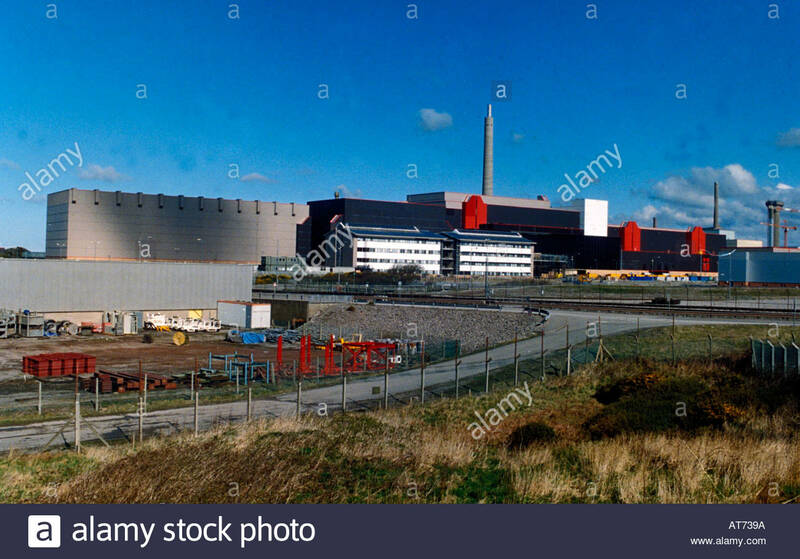 Another raison dêtre for THORP was quickly found, with construction work of the Sellafield MOX Plant beginning a few weeks later in April 1994. This was meant to produce plutonium fuel for ordinary reactors rather than Fast Breeders. The Sellafield MOX Plant was expected to generate £400m; instead it cost £2.2 Billion. The cost of building THORP steadily rose from £300m at the time of the public inquiry in 1977 to £1.8bn on completion in 1992. With the additional cost of associated facilities this figure rose to £2.8bn. The operator at the time – British Nuclear Fuels Ltd (BNFL) received advance payments from its customers of £1.6bn which largely covered the construction costs. The net result, according to BNFL was that over the first ten years the income would not only cover all building operating and future decommissioning costs, but would produce a profit of £500m. One economic analysis in 1993 pointed out that at a projected profit of only £50m per year, the economics of the project looked extremely vulnerable to unforeseen events, and British electricity consumers would be paying £1.7bn more than necessary to have British spent fuel reprocessed at THORP (10). This analysis turned out to be prophetic – there have certainly been plenty of unforeseen events since 1994. With THORP operating around a decade behind schedule, any notional profit originally expected must have long since been completely wiped out. The economics of THORP and subsequently the Sellafield MOX Plant (SMP) depended on the constructors and operators being able to build and operate the facilities according to the specification. But nuclear facilities being built in the west have suffered from delays and almost always tended to have large cost overruns. Recent ones have ALL suffered horrendous cost overruns – in the USA (4), France (1) and Finland (1). Yet otherwise sensible, financial analysts have, in the past produced reports to justify building facilities at Sellafield and Hinkley which seem to ignore this fact and assume construction and operation will proceed precisely on target. UK customers to pay in advance for Hinkley nuclear power, AND cop the financial risk? EDF’s EDF seeks to charge customers upfront for UK nuclear plants, Ft.com , 23 Nov 18, Financing scheme modelled on London’s ‘super sewer’ aims to cut cost of power from reactors Jonathan Ford in London NOVEMBER 22, 2018 EDF is pushing a plan to finance nuclear investment in Britain that it claims would cut the cost of power from new reactors to levels competitive with gas and renewable energy. The French state-backed power utility wants to use a technique commonly used in utilities such as water, airports and power distribution. This allows companies to charge customers upfront for new infrastructure. It is being used in the £4.2bn project to build a “super sewer” under London’s river Thames. But the mechanism has never been tried for a project as technically complicated and lengthy as a nuclear power station, which can take a decade to build. This and other challenges mean any gains are not assured. Why nuclear revival is struggling to take hold EDF’s proposal comes at a time when Britain’s much touted nuclear renaissance is in danger of shorting out. The first deal — which will see the French group and its Chinese partners build a £20bn station at Hinkley Point in Somerset — was struck in 2016 at a guaranteed strike price of £92.50 per megawatt hour (MWh) in 2012 prices, indexed for 35 years and worth about £105 in current terms. Heavily criticised for being excessive, it was at least similar in headline terms to the prices required for renewables, nuclear’s main zero carbon competitor. However, renewable costs have since fallen sharply, with some deals for offshore wind farms being signed for as little as £55-60 per MWh with 15 year contracts. ………. But it has prompted concerns about the equity of the structure. “What RAB financing does is transfer project risks to customers, who are least well placed to bear them,” said Martin Blaiklock, an infrastructure expert who likens the technique to “being forced to pay for a meal at a restaurant before the restaurant has even been built, let alone served any food”. Will consumers benefit? Consumers who paid up front for five to 10 years would run the risk that if the reactor were delayed, over-budget or ultimately not commissioned, the power savings would not materialise and they might suffer a total loss. Nuclear has a poor record for delivering on time and to cost. Two projects in Europe using the same technology, at Olkiluoto in Finland and Flamanville in France, are running 10 and six years late respectively. Both are about three times over budget. EDF has yet to prove that its EPR reactor design can even generate electricity at commercial scale. The site was declared a National Memorial three years ago, along with Oak Ridge, Tennessee and Los Alamos, New Mexico. At these three sites, the atomic bomb was developed during the Second World War – under the code name Manhattan Project. The shock is to see it: We are on a heavily contaminated terrain with a total of nine reactors, all of which are now switched off. The area is about twice as large as the urban area of Hamburg. The danger lurks underground, radioactive waste is stored in huge underground tanks – sirens, which is clear to every visitor, can not mean anything good. But the situation quickly relaxes – it’s one Thursday, 10:15 am – once a month the emergency systems are tested, the tour guide thinks……. The production started in September 1944, after a good six weeks the first plutonium could be won. The intended use: Fat Man, the nuclear weapon that was dropped on August 9, 1945 over the Japanese city of Nagasaki. David Anderson is one of today’s visitors to the B reactor. He seems thoughtful – in the place that has brought so much suffering over Japan. But that’s not an issue in the B reactor tour. And not that Hanford Site today is an oversized atomic dump. Scientists estimate that the waste stored here still contains around 190 kilograms of plutonium. That would be enough for 23 bombs like the one that was killing Nagasaki and killing at least 70,000 people at once. But no one knows how much atomic waste is actually stored on the huge area. Exact records from the early days on introduced quantities and their composition or pumping actions between different tanks does not exist. And outside of Washington State or the neighboring state of Oregon, little or nothing is known about Hanford Site and the dangers lurking in the ground……..
Holly Barker holds an anthropology lecture at the University of Washington in Seattle. Topic today: Hanford site and the threats to the environment and workers. As a young woman, Barker was involved in the volunteer service Peace Corps. This work led them to the Marshall Islands in Oceania, where the United States performed many atomic bomb tests between 1946 and 1958. No, she says, whoever does not live in Washington State probably knows little about Hanford. Increased radiation as a cause of cancer? ……..There are several studies that deal with the cancer rates around Hanford. With different results. Only in one, the studies are unanimous: It is really dangerous for the workers in Hanford site, who clean the grounds. The decontamination and disposal works have been running since the mid-80s, they are expected to be completed in 2060. There are 177 tanks in the ground, with at least 50 million gallons of garbage in them. Included: 1500 different, easily evaporating chemicals, many highly toxic. And they regularly quit and injure workers, as Attorney General of Washington State lists Bob Ferguson. In September 2019, the workers involved in cleaning up the nuclear waste were able to celebrate an important success. Washington State, Hanford Challenge, and a union group had sued the Department of Energy for safer working conditions in 2015. Hanford Site is under the Ministry. A court in Seattle has now, after three years, the plaintiffs right. The ministry has been sentenced to over $ 900,000 in fines and must provide better protection for workers. Bob Ferguson says the Energy Department did not take the problem seriously, although workers had been ill for years. Next to him was Tom Carpenter, managing director of the Hanford Challenge interest group………..
“Years pass and it still looks the same. This lack of progress frustrates people. Here, so much money flows in here. But you do not hear that it goes ahead. Because it does not. One of the main problems: where to go with the destructive stuff? an official final deposit does not exist in the US either. Washington State also depends on the financial drip. Each year, $ 2 billion goes to the state for the so-called ‘clean up effort’. There is not much in the region except some farming – and workers are well worth a job with a minimum income of $ 60,000 a year. As absurd as it is, the contaminated land is lucrative for Washington State. Hanford Site is a place of extremes. Once a flagship project in the Cold War, today the bearer of a frightening title: the radioactively most contaminated site in the Western Hemisphere. CoRWM concludes that geologic attributes or parameters cannot be compared across rock types, and the concept of a site which scores ‘highest’ on all parameters’ simply cannot occur. The different and various roles played by geological settings proposed for GDFs across the world highlight this issue. A Geological Disposal Facility must isolate the waste it contains from people and the environment such that the risk levels to individuals that are most susceptible is kept within 1 in 1 million (10-6) into the very distant future. This is assured by developing a Safety Case which models the behaviour of the repository system. This is more than half the total risk of 10-6 allowable for a GDF for 9.6GW of new capacity. If the Government succeeds in persuading the nuclear industry to go ahead with 18GW of new capacity clearly this will exceed the risk targets set by the EA. Two ways round this have been suggested. Firstly there could be two repositories, but although both dumps might share the same access shaft, there would be a sufficient distance between two separate groups of disposal chambers so that you have in effect two dumps giving a potential dose to two different populations. operator, EDF Energy, insist the reactor is safe. this year to allow inspectors to probe for cracks. in the reactor, but at the time neither EDF nor the ONR would say how many. that more than 350 cracks had been discovered. On the other hand, Amano told board members that Iran continues to abide by the deal reached in 2015 with major world powers that aimed at preventing Tehran from building atomic weapons in exchange for economic incentives. The issue has grown more complicated since the US withdrew unilaterally in May from the deal and then re-imposed sanctions. Iran’s economy has been struggling ever since and its currency has plummeted in value. The other signatories to the deal — Germany, Britain, France, Russia and China — are continuing to try to make it work. Amano stressed that “it is essential that Iran continues to fully implement” its commitments. In its full report, the IAEA said its inspectors continue to have access to all sites in Iran that it needs to visit and that inspectors confirmed Iran has kept within limits of heavy water and low-enriched uranium stockpiles. KYODO, 23 Nov 18 The Japan Atomic Energy Agency said Wednesday that some of the low-level radioactive waste stored underground at a facility near Tokyo may leak from its containers due to inadequate disposal procedures. 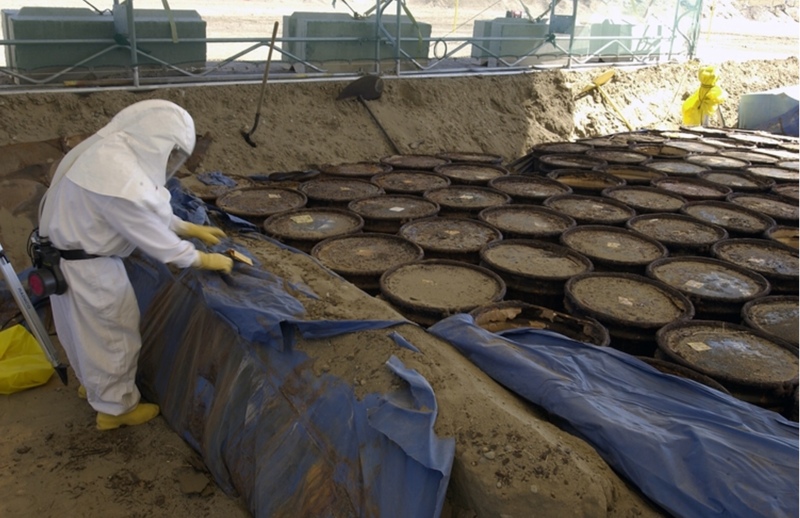 The government-backed agency keeps 53,000 drums of low-level radioactive waste, or about 10,600 kiloliters, in a concrete pit in the basement of a building of the Nuclear Research and Science Institute in the village of Tokai, Ibaraki Prefecture. Some of the waste did not undergo the proper water removal process when placed in the pit, and leakage and corroded containers in the pit were found during inspections between 1987 and 1991, according to the agency. The European Commissioner for Climate Action and Energy, Miguel Arias Cañete, has said that the commission’s approval for the Belene Nuclear Power Plant project – given more than a decade ago – is no longer valid. As such, Belene must be treated as a new project and must undergo a new assessment by the commission. Mr Cañete was responding to a question raised by a Bulgarian member of the European Parliament, Svetoslav Malinov, of Democrats for a Strong Bulgaria, part of the European People’s Party……..
“Belene nuclear power plant will never be built, but it still offers the opportunity to steal money from Bulgarian taxpayers. Belene is dead. Why does GERB [Bulgaria’s ruling party] refuse to bury it?” said Mr Malinov. Will shake-up at London embassy leave Assange out in the cold?, By Claudia Rebaza and Lauren Said-Moorhouse, CNN, November 23, 2018 London The Ecuadorian government has removed its ambassador to the UK, sparking speculation over Julian Assange’s future at the diplomatic mission there. The 47-year-old founder of WikiLeaks moved into the Ecuadorian Embassy in central London in 2012 while wanted for questioning over sexual assault allegations in Sweden. Assange maintained his innocence and claimed the charges were nothing more than an attempt to extradite him to the United States. Ambassador Carlos Abad Ortiz was forced to leave his post, according to an executive decree signed by Ecuadorian President Lenin Moreno and published Wednesday. The envoy had been in charge of the diplomatic mission since 2015 and had been an influential figure regarding Assange’s future. After the announcement, WikiLeaks said Thursday on Twitter, “All diplomats known to Assange have now been terminated to transferred away from the embassy.”…..
the decision to oust Abad has fueled speculation that Ecuador is looking to push Assange out the door. Fidel Narvaez, the former consul at the embassy, told CNN that Abad’s removal should be seen as a bad omen for the WikiLeaks founder and his asylum……. WikiLeaks has been a focus of special counsel Robert Mueller’s investigation of any links between President Donald Trump’s associates and Russian efforts to interfere in the 2016 presidential election. WikiLeaks posted thousands of emails stolen from Democrats by Russian agents during the election. The Justice Department investigation of Assange and WikiLeaks dates to at least 2010 when the site posted thousands of files stolen by the former US Army intelligence analyst now known as Chelsea Manning……. The Czech decision is being watched by neighbours considering investments in reactors “…….. The reactors, which are owned by CEZ, the state-controlled energy group, are due to expire in 2035. Given the long lead time for nuclear projects, government and company officials have spent the past year debating whether — and how — to finance their replacement. With another plant run by CEZ in Temelin, the Dukovany reactors accounted for about two-fifths of Czech energy needs last year, making how to deal with their expiry one of the most important, and potentially one of the most expensive, decisions facing Mr Babis’s government. Analysts estimate that building new reactors would cost at least 100bn Czech koruna (€3.8bn) each — or about a third of CEZ’s market capitalisation. ………,The deliberations in Prague mirror debates elsewhere in central Europe, where the Czech Republic is not alone in considering another bet on nuclear energy Poland has been debating whether to build a nuclear plant of its own, while Vladimir Putin, Russian president, said in September that the Russian state-owned nuclear group Rosatom would soon start construction on two new reactors in Hungary. Earlier shutdown resulted in shortages to SA’s government hospitals, global market. Mike Rycroft / 22 November 2018 The Nuclear Energy Corporation of South Africa (Necsa) NTP production facility at Pelindaba, which produces medical nuclear radio-isotopes and associated products and services, is back in partial operation after approval to restart was given by South Africa’s National Nuclear Regulator (NNR). The facility is the main supplier of medical nuclear radio-isotopes such as Molybdenum-99 in Africa, and one of only four such facilities globally. As a result of safety procedure lapses, the plant was shut down in November 2017, which lasted almost a full year. Several attempts had been made in the interim to restart the plant, but without success. The process of rectifying shortcomings and bringing the operating and safety procedures in line with the requirements of the NNR has been marred by what appears to be conflict between NTP and its parent company, the Necsa…….. The initial shutdown occurred in November 2017 as a result of procedural errors. It appears that calibration of hydrogen sensors, an important component in the safety chain, had not been carried out correctly, and that records were not being kept properly. This was considered to be a critical safety issue, and the plant was shut down by the NNR. An investigation was held which resulted in the suspension of a number of NTP staff. Following a number of further senior executive and staff replacements, suspensions and reinstatements, Necsa placed its own employees in charge of the plant, who then attempted to rectify the problems and restart the production facility. following an announcement during the recent Brics Summit in Sandton of a cooperation agreement in the field of nuclear medicine between NTP and Rusatom, the nuclear medical subsidiary of Russian state-owned nuclear company Rosatom, there are some questions as to whether a second or replacement nuclear research reactor will be built. NTP said that the current global production over-capacity of medical radio-isotopes does not justify a second nuclear research reactor, since the Safari-1 reactor at Pelindaba still has between 15 and 20 years of life, and this could be extended still further. The Safari-1 nuclear reactor produces medical nuclear radio-isotopes by bombarding target plates of low-enriched uranium with neutrons. Furthermore, medical nuclear radio-isotopes can also be produced by particle accelerators such as cyclotrons, which could make the consDtruction of second or replacement nuclear research reactor unnecessary, the company said. There are also concerns regarding the financial health of Necsa. The Auditor-General has raised ongoing concerns about inadequate financial provisions by Necsa for decommissioning and dismantling costs for the Safari-1 reactor end-of-life.